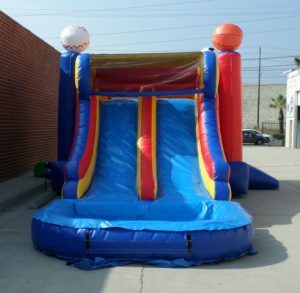 Spending time playing on combo inflatables is the best type of fun. 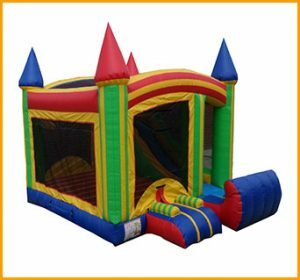 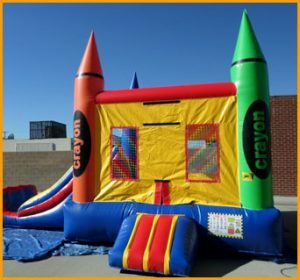 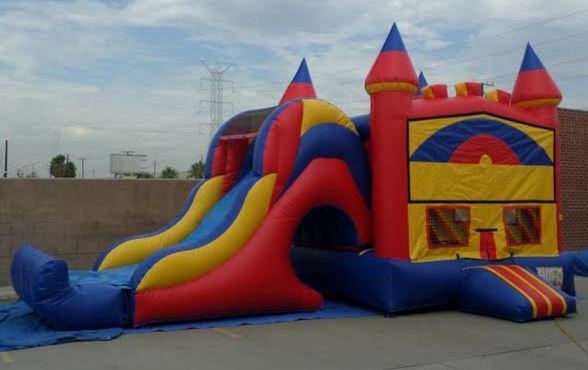 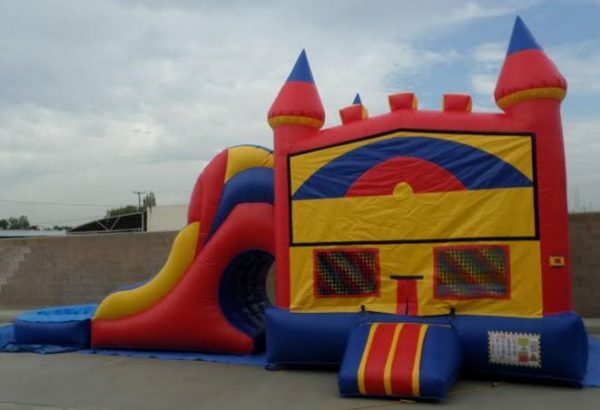 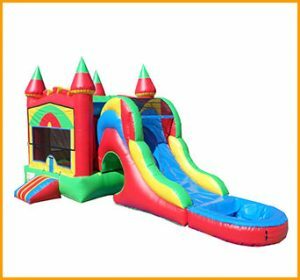 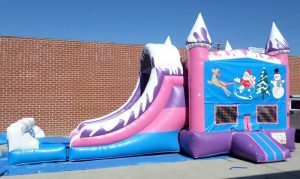 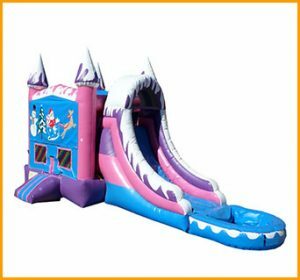 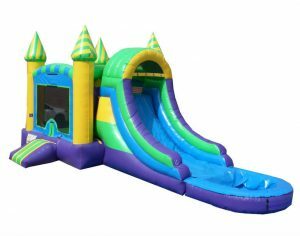 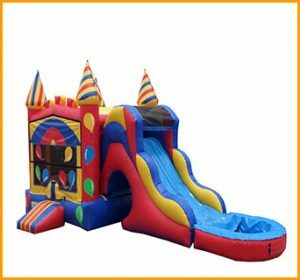 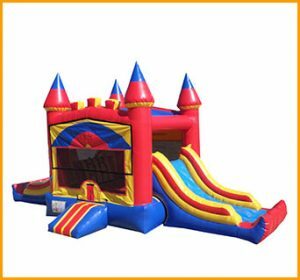 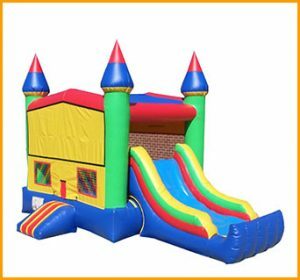 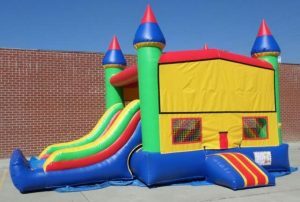 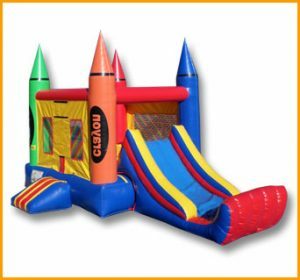 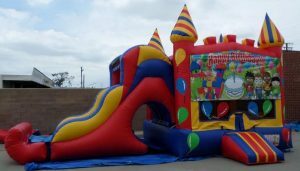 There is so much fun involved when it comes to this 3 in 1 wet and dry castle combo. 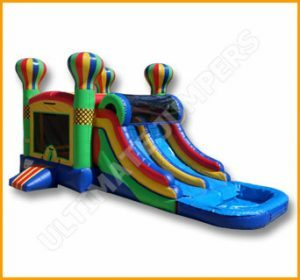 Spending time playing on combo inflatables is the best type of fun. 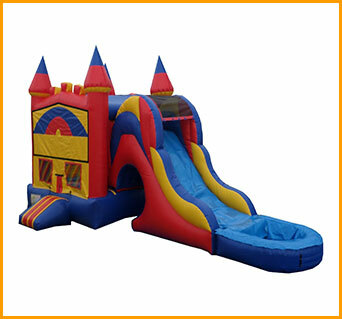 There is so much fun involved when it comes to this 3 in 1 wet and dry castle combo. 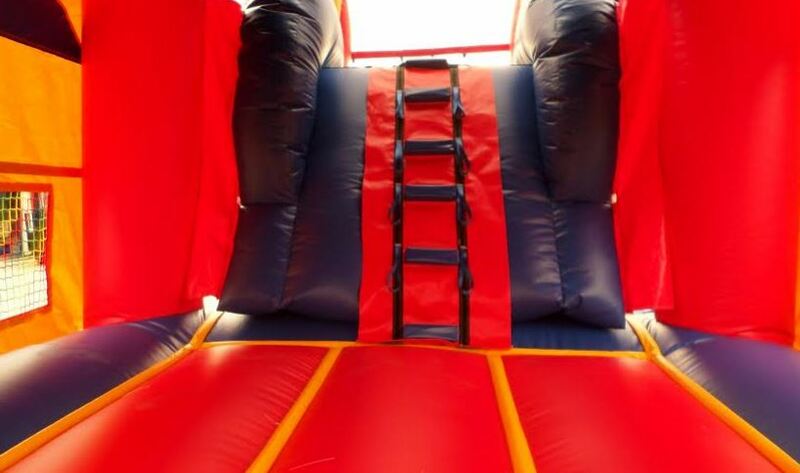 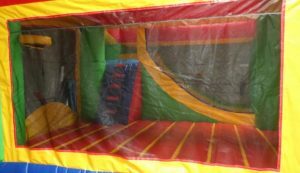 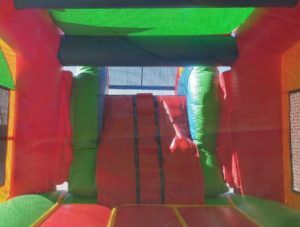 Kids are able to bounce, climb, then slide down and repeat, giving them plenty of cardiovascular exercise. 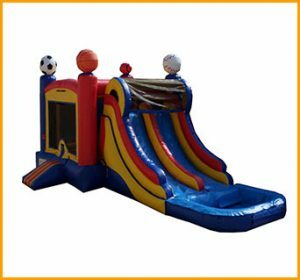 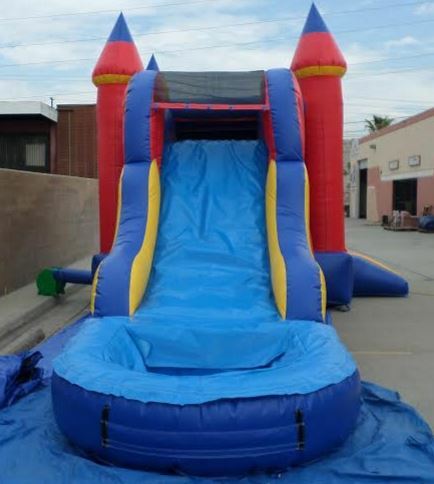 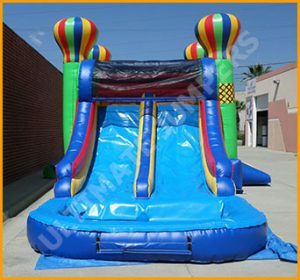 This bouncer and slide combo can be used all year round, with or without water. 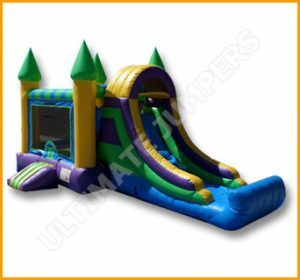 A detachable pool as well as a detachable bumper comes with the combo so that you’ll be use the inflatable all year round. 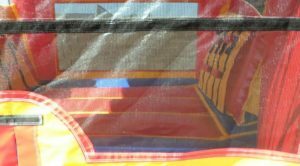 A space for the art panel is reserved in the front to give you the ability to customize the unit and place your favorite and most popular characters on it. 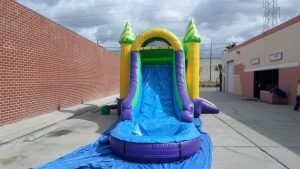 Colors can be changed per your request and at no charge. 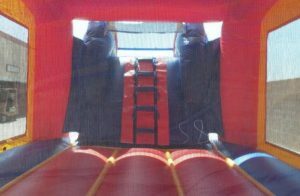 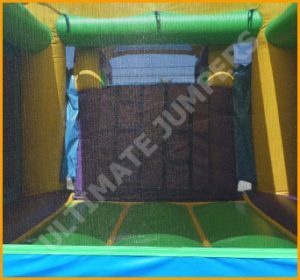 This combo, like all others manufactured by Ultimate Jumpers, is made of durable materials and safety in mind.